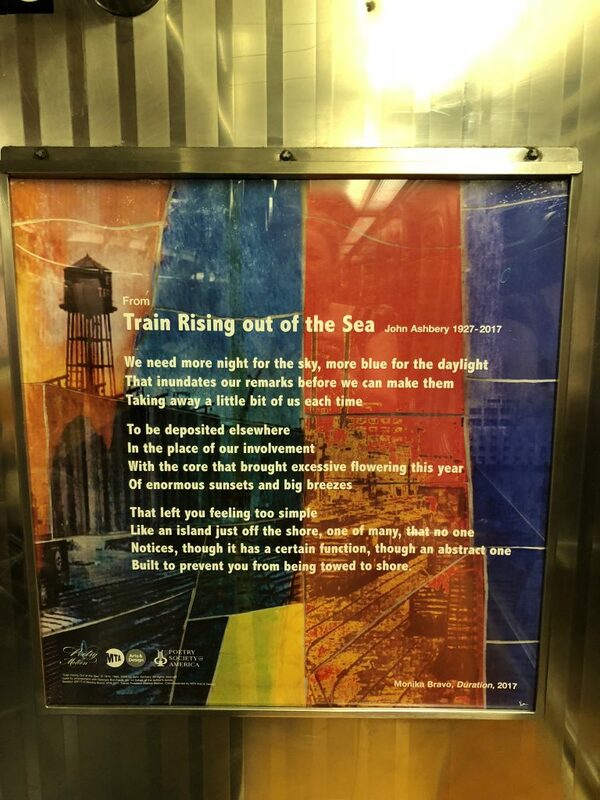 Spotted this poem on a Manhattan train just over a week ago, whilst holidaying in NY. Magical words. A new poet for me to explore. I’m from Tasmania, Australia and have had poetry published myself so have always loved the beauty of pared -back literature.